We all love to show off a perfect set of white teeth when meeting new people or being at parties. Apart from the fact that it makes your smile look more beautiful, it helps you to have a great sense of self-confidence. You just look like someone you would like to talk to, right? 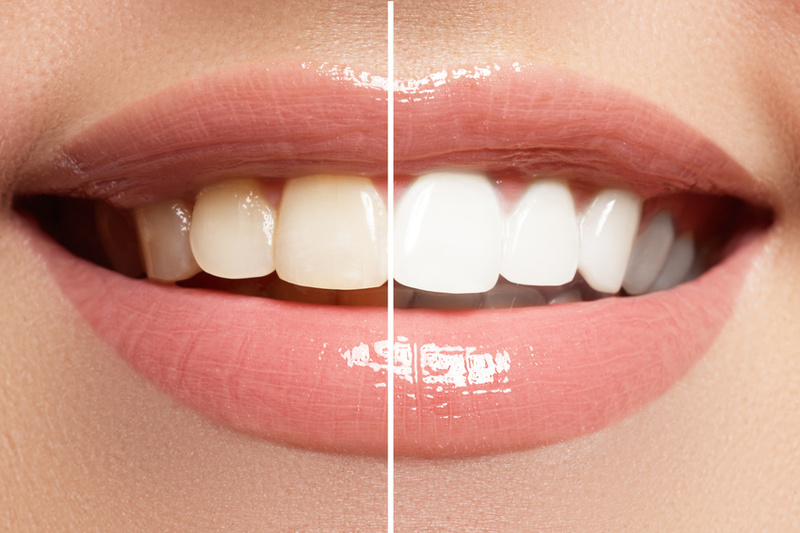 So as the holiday party season gets underway, it’s a perfect time to do some teeth whitening for the holidays. Fortunately, you can still dazzle with an amazing smile even if you have consumed a bit too much of the things that cause your teeth to darken over time. Teeth whitening options are plentiful. So get ready for the dinners, parties, and get togethers of the holidays with an in-office teeth whitening session at Murfreesboro Family Dentistry. Dentists recommend using products or methods that will not weaken or destroy the enamel of your teeth. For example, whitening gels which contain Chlorine dioxide will whiten the teeth, but eat away the surface of the enamel. The American Dental Association (ADA) recommends products that contain hydrogen peroxide and carbamide peroxide as the safest. The whitener can contain one or both ingredients, and they are regarded as the best ingredients because they remove both surface and deep stains. Keep in mind that the most effective solutions are only available through a dentist. There are varieties of products and methods to choose from to get those sparkling white teeth for the holidays. Whitening Strips: You can easily apply these whitening strips at home, but it’s best you do not brush before using them. This way you’re sure to make them stick to your teeth. All you have to do is pull the strip from the liner and place the gel side to your upper then lower teeth and press it against your teeth to make sure it sticks. Follow the instructions, but typically, you can leave it for about 5 minutes before removing it. These are a decent option, but keep in mind, they may take quite a bit of time to get the desired color. Also, the power of the active ingredient is not very strong, so strips might not remove the stains you want them to. If you want to go this route, we can make some recommendations when you come for your appointment. Whitening Gels: It’s advisable you meet your Dentist for instructions before using whitening gels. You can also get a custom tray that will fit your mouth which is the ideal option. Otherwise, you can use whitening over the counter gels, like gel pens. These are a much lower strength than what you can get from your dentist. The other reason getting a customized teeth whitening tray from your dentist is the best option is because the tailored just for you tray will ensure the product doesn’t come into contact too much with your gums. It can be damaging to gums so you need to be careful. Your dentist can also use a special light to improve your results quickly. With over the counter options, it could take anywhere from 6 to 24 days for the desired result. The holidays might be over before you get the color you want. Get in touch with our office today to learn more about how quick and simple getting that pearly white holiday smile can be. We look forward to helping you have an amazing holiday season.